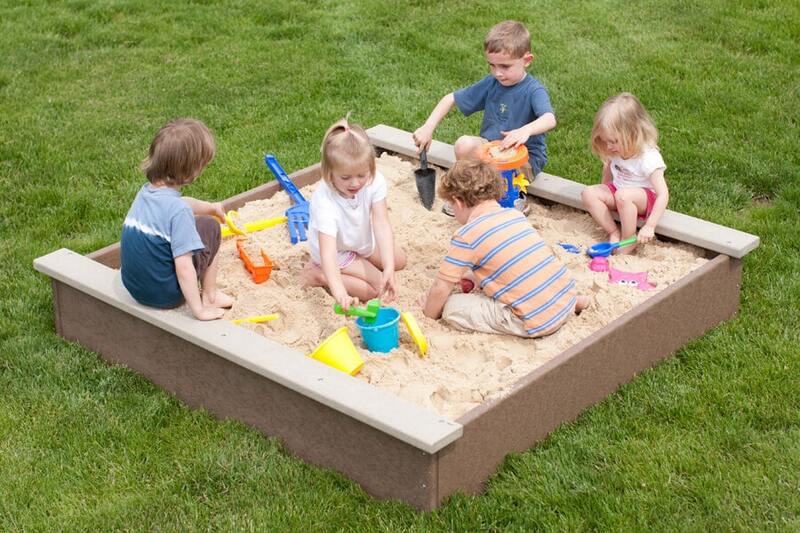 Spacious 6′ x 6′ Sandbox for the natural playground has two 6′ long bench seats to support several children and teachers during sand play. Sand is a wonderful manipulative that has endless opportunities for fun and learning. 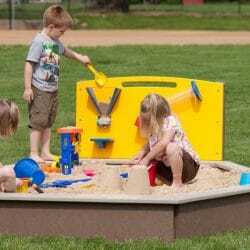 This outdoor play equipment provides an area for sifting, digging, pouring, measuring and comparing. Mix together sand, water and imagination and children transform the sand into mountains, valleys, island, lakes and rivers as well as cities and streets. The children can create whatever the eye sees and the mind imagines. 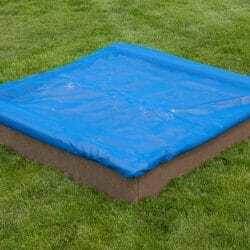 Sandbox Mesh Cover and Activity Panel Add-On accessories are available.